Don’t pity him too much—racial resentment put Trump in the White House, said Vann Newkirk in TheAtlantic.com. Trump is a “savant” at harnessing “white resentment and hostility toward outspoken people of color.” He launched his political career on the racist “birther” campaign against President Obama, and as a presidential candidate, he exploited animus toward Hispanics and Muslims. Trump’s policy views are largely incoherent, so “there is no Trumpism without people of color to serve as a foil.” The rest of America is growing increasingly disenchanted with his antics, which is why Trump is spending even more time “knocking down the kinds of black folks members of his base want to see knocked down,” like the flamboyant, bigmouthed Ball. Look—it was “inexcusable” of Trump to suggest he should have let the young Ball and his teammates rot in a Chinese prison, said Jim Geraghty in NationalReview.com. 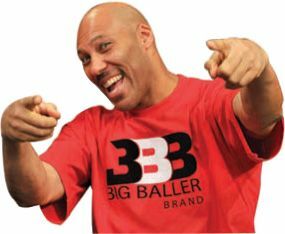 But of all the people targeted for a presidential Twitter rant, LaVar Ball “probably had it coming more than most.” Trump personally asked Chinese President Xi Jinping to release LiAngelo Ball, thus sparing the younger Ball years in jail and keeping alive his dreams of a pro-basketball career. Is “a little humility, gratitude, and graciousness” from his father really too much to ask? As for Trump’s supposed racism, said Bill Speros in BostonHerald.com, how do critics explain his Twitter attacks on a hundred white targets, ranging from Jeb Bush to Sen. Chuck Schumer to Joe Scarborough?